Our cooperation with S4GA allows us to recognize S4GA as a partner who treats seriously its obligations towards the customer. We are looking forward to long-term cooperation and wish S4GA many future successes. As on the most prestigious Flight Academy in Poland our goal is to provide our students with reliable and ICAO compliant infrustructure. 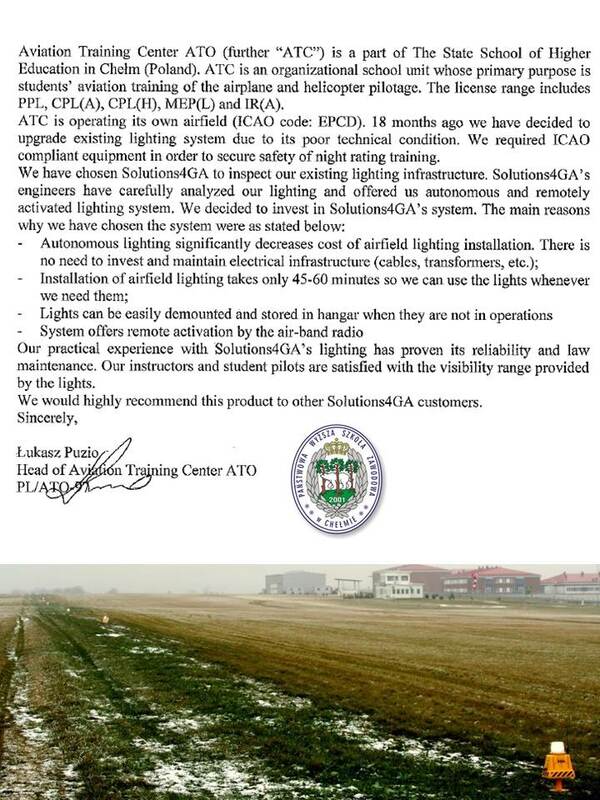 pilots are satisfied with visibility range provided by the lights.